Maintaining a household budget is difficult enough without throwing a newborn into the mix. New moms looking at the cost of children from their infancy up through adulthood may feel like asking for a refund or trying to find some way to push that baby back up inside where it will not drain their bank account. Raising your child on a budget is not an impossible task, but it does take planning, forethought, and dedication to do it correctly. A little creativity does not hurt either. Take a look at some of the most helpful tips for new moms on how to save money and still give your adorable little one all that you can afford. One of the best things you can do save money is simply knowing when is the best time of day, week, or year to buy certain items. Pay attention to when various items go on sale at your local shops and write them down in a price book. Do this during your entire pregnancy and by the time you welcome your baby into your life, you will have a thorough understanding of how the sales cycles work in your area and you can pick up all your much-needed supplies like baby clothes when they are at their cheapest. 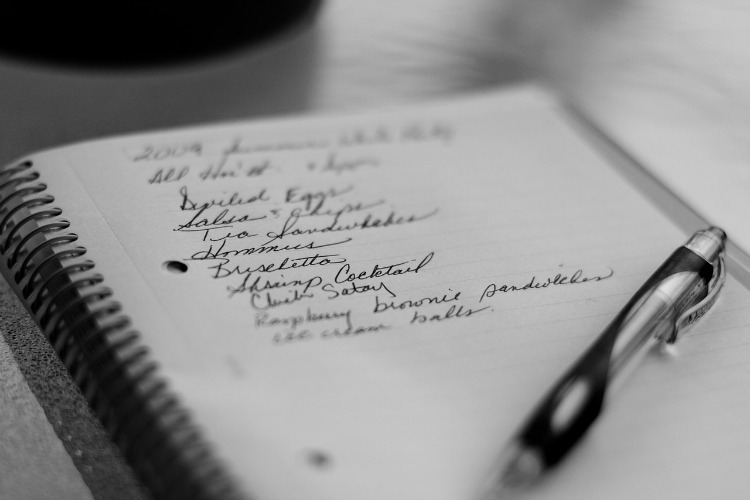 When shopping for food, clothing, or anything else, always, always, ALWAYS make a list. First, a list prevents you from forgetting anything vital and wasting what precious little time you have going back into the store. Second, when you make a grocery list, you tend to stick to buying what you have listed and avoid purchasing unnecessary things impulsively. Look up what items are on sale at your preferred grocery store and build your weekly menu around the store sales. 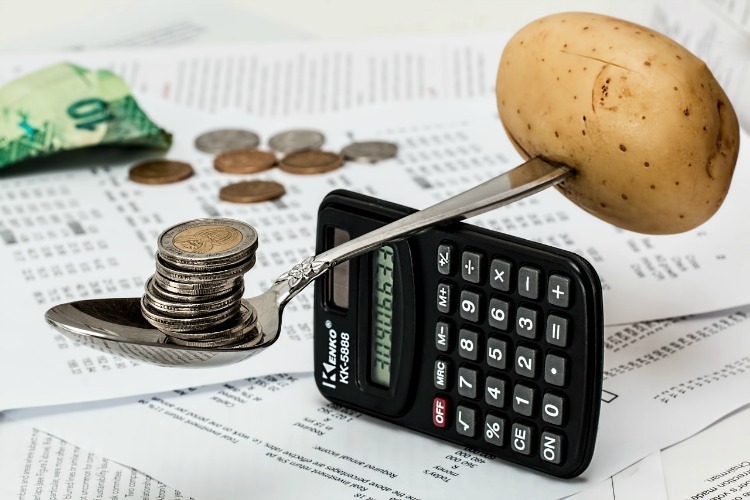 Not only can you get control of your budget and save up to 40% during a single trip by sticking to food on sale, it also takes the some of the pressure off when deciding what to make for dinner. Coming up with meals all of the time can be tiring, but when you plan meals based on store sales, it will narrow down your choices and make deciding what to cook a little less time-consuming. 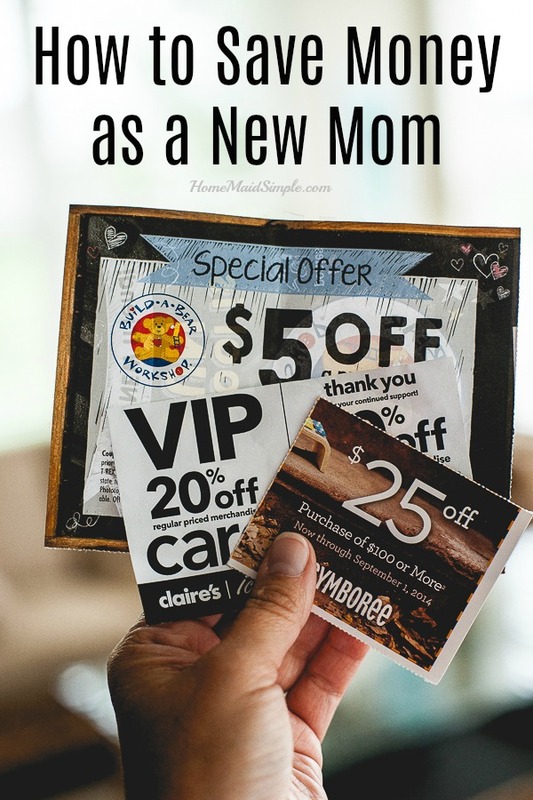 Moms who do not take advantage of every coupon they come across may be missing out on significant savings down the line. Sure $0.25 off does not seem like a lot of money, but when you use 20 of those during a month, you just saved yourself $5 that can go into buying more supplies or starting a college fund for your child. Many stores even offer to match a competitor’s coupons or double the saving on your coupon. You can find more coupons online sometimes that will double or triple the savings from your manufacturer’s coupon. Promotional codes function similarly to coupons in that they give you a discount on goods, but generally you only use promotional codes when shopping online. Some will take the code in-store as well. Do a bit of research online before you head to the store to see if you can find a printable promotional code. Check savings forums and other mommy blogs for great recommendations. As more people turn to their smartphones to help them make wise shopping decisions, more and more companies are releasing savings and cash back apps that offer rebates for simply using the application. Although it may seem like a time-consuming progress at first, as you better understand the technique, you can save hundreds of dollars a month. You simply login to the application and see what rebates are currently available. Once you buy the products available for the rebate, take and upload a photo of your receipt within the application. You end up saving money on your current purchases and can even make some extra cash. Do not think you need to buy every item new. Take advantage of friends or family members with children and accept any hand-me-downs that they offer you. You will be surprised how much money you end up saving on very important items like clothing, toys, books, etc. Even if you do not end up using the item, share it with people in your mommy group or donate them to a local women’s shelter. Author Charlotte Dunlop: Charlotte is an aspiring writer with a desire to help us improve our day to day lives for the better.